The Japanese Army never developed an automatic AA weapon larger than the 20mm Type 98, although they did make use of some 200 Bofors guns captured from British forces in Malaya. The British ignored the 37mm calibre almost completely, with the exception of some old COW (Coventry Ordnance Works) 1 V^pdr cannon of essentially First World War origin, which were used for airfield defence. 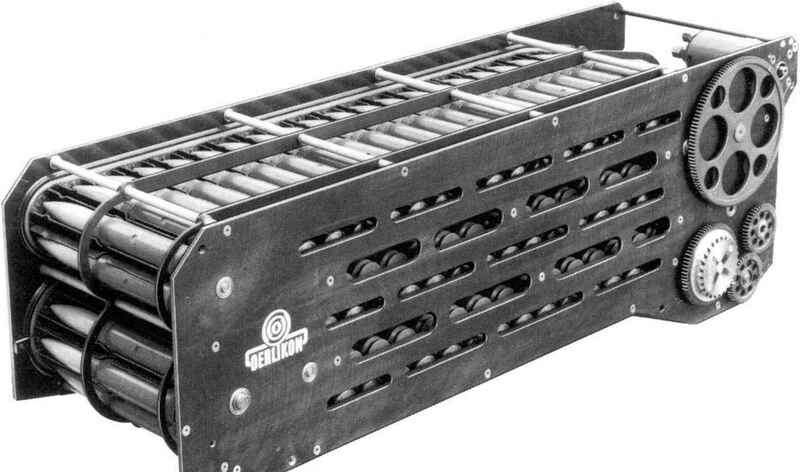 Indeed, the British General Staff and War Ministry took some convincing that anything larger than LMGs was needed to equip the new Light A A Batteries established from 1935. However, experiments had revealed that nothing smaller than a two-pound shell was likely to inflict serious damage on aircraft structures. initially fitted only with contact + self-destruction fuzes. The combination of high performance, mobility and reliability were sufficient to make the Bofors the outstanding heavy automatic weapon of the war in army as well as naval use. It was probably employed by virtually every combatant nation, officially or otherwise. The towed version weighed 2,460kg in travelling form, 1,980kg in action. British Bofors were originally produced with a simple 'cartwheel1 (open framework) AA sight, but by 1939 Colonel A. V. Kerrisons No.3 Predictor (popularly known as the Kerrison Predictor) was being introduced. This provided direct power control of the gun via hydraulic motors, using information about the angular rate of change of the target from a telescopic sight, once slant range had been set manually. It proved very accurate, given a well-trained crew. 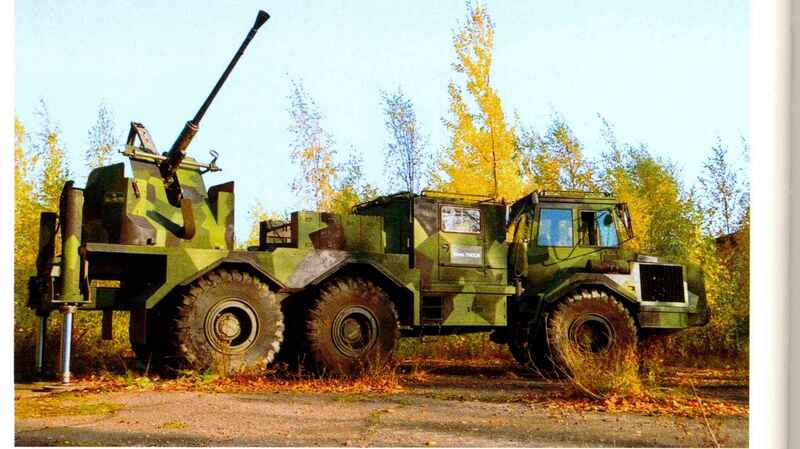 Many self-propelled variants of the Bofors were also fielded, some on wheeled trucks, others in mountings on tank chassis. The best known of the latter was the American Gun Motor Carriage Ml9, which carried two guns on an M24 light tank chassis. The British fielded the Crusader A A Mark 1, using a single Bofors in a hydraulically operated mounting behind an armoured gunshield. Despite their AA purpose, these vehicles proved handy in the ground role, their firepower obliterating lightly protected defensive positions. conflict, the end of the Second World War saw a pause in arms production and a dramatic scaling-down of military forces. At the same time, intensive reviews of future requirements were conducted in the light of war experience and some technical experiments were followed up at a more leisurely pace. The evaluation of heavy machine guns was rather confused. They had proved largely ineffective in the AA role. An American analysis based on the last year of the war showed that over 50,000 .50" rounds were fired for every aircraft brought down, compared with 500 Bofors rounds - that is, almost two hours of continuous firing per gun, compared with four minutes. However, they never quite died out and the faithful M2 remained in service, mainly fitted to single mountings, either on a tripod for infantry use or on vehicles. One M2 was commonly provided on a pintle mounting by the commander s hatch on tanks. The use of multiple M2 mountings was also continued for a while, the power-operated quadruple M45 lasting in service until 1955. They were designed to put up an immense volume of fire against low-flying aircraft, but actually proved very effective against 'human wave' attacks in the Korean War. 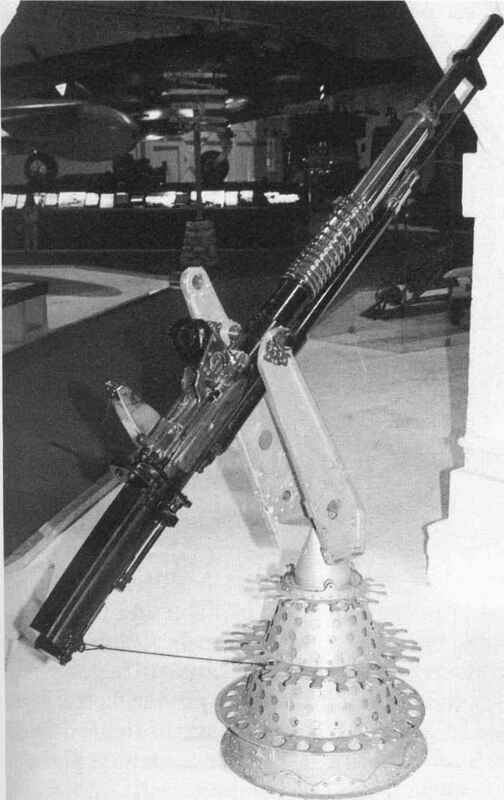 The Soviets showed faith in HMGs, producing not only an improved 12.7mm gun but a brand-new and much more powerful weapon, the 14.5mm KPV, specifically intended for the light AA role. 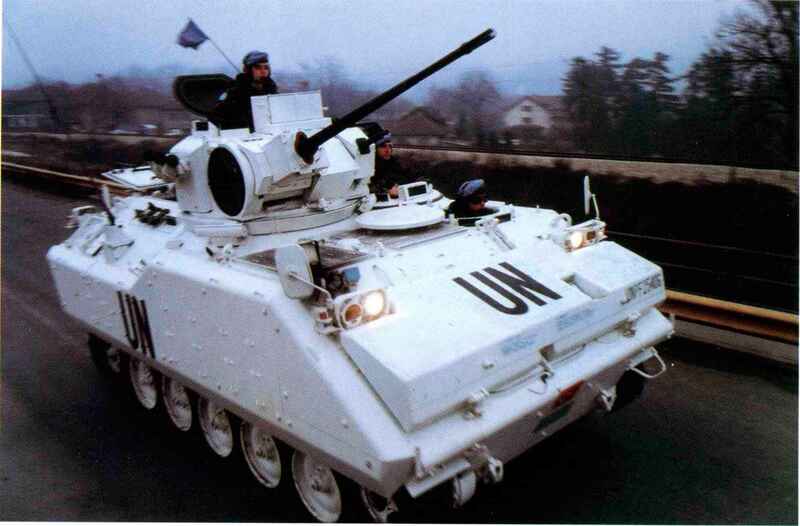 Most other nations abandoned HMG development to concentrate on weapons of 20mm or more. It was clear that short-range AA defence required the shortest possible time of flight and the highest possible rate of fire, stimulating the development of new weapons and high-velocity cartridges. Some effort was also devoted to producing properly designed SPAAGs, with cannon in fully enclosed turrets on tracked chassis, able to provide immediate cover for armoured columns. Curiously, the British Army showed little interest in light cannon, rapidly abandoning the various 20mm guns for improved models of 40mm Bofors. This view was probably influenced by operational research into the relative effectiveness of the 20mm Oerlikon and 40mm Bofors in dealing with low-fly-ing coastal raiders. It was noted that these were not usually spotted until only 1,400 metres away, so the Bofors could not use its range advantage. Engagement times were only about thirteen seconds (from first sighting the target to the last shot) and the Bofors fired an average of seven or eight rounds to the Oerlikon s fifty. Even so, in most circumstances the Bofors was more effective. better. Using predictor control, the Bofors' success rate rose to 35% and 39%. 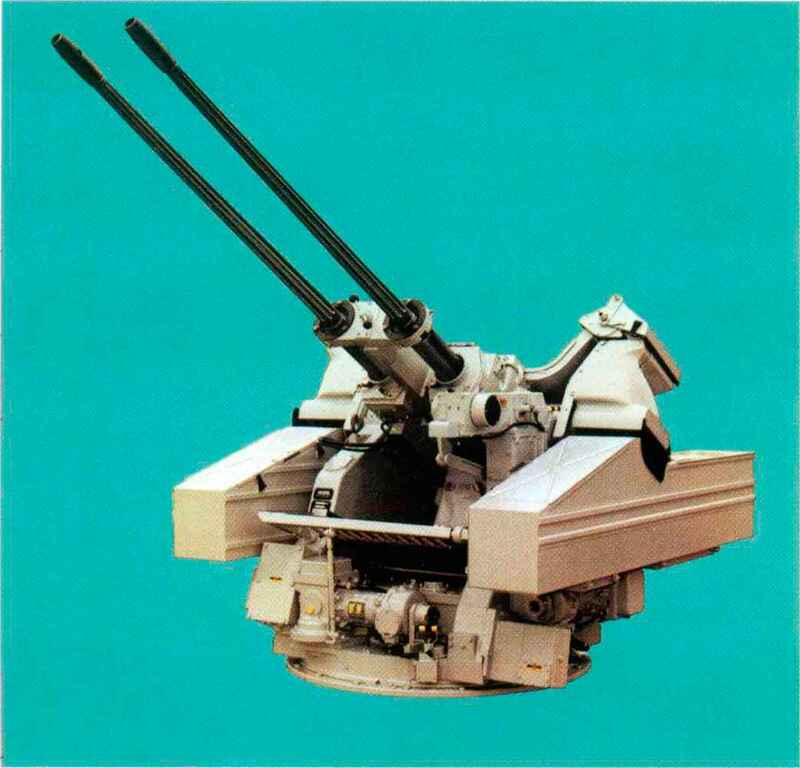 The addition of a Triple Gyro sight had an even more dramatic effect on the Oerlikon's performance - to 17% and an astonishing 76% respectively. More surprisingly, the British Army only fielded towed weapons; for several decades, the only instant-response air defence for armoured columns consisted of the rifle-calibre machine guns mounted on the top of tank turrets. This glaring oversight can presumably be attributed to the fact that by the end of the war, the British Army had become accustomed to fighting in conditions of total air superiority and found little use for their AA equipment. 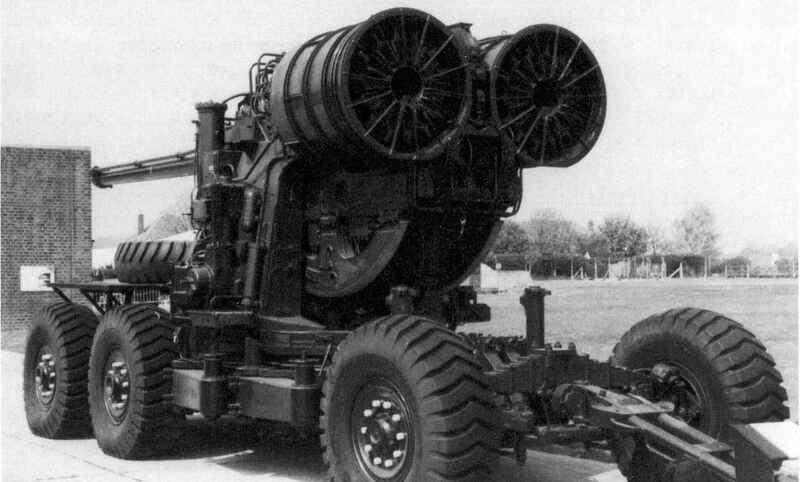 In the early 1970s the Bofors guns were retired in favour of the Rapier missile system, but even this was for some time available only on towed mountings. It remains in service, supplemented by smaller AA missiles. 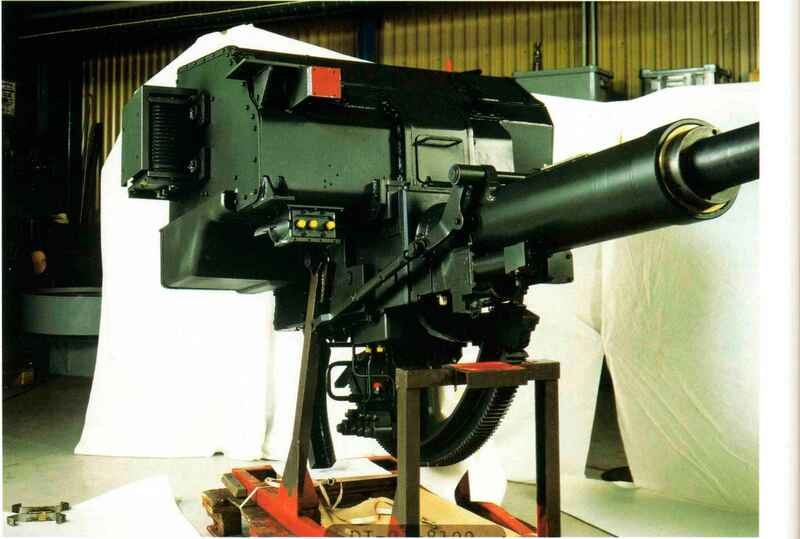 There was a minor revival in British use of AA guns following the Falklands War, when some Oerlikon 35mm systems were liberated' from Argentinian forces and donated to the RAF Regiment. Warsaw Pact had largely abandoned light tanks, using main battle tanks for most reconnaissance purposes. The first generation of armoured personnel carriers, such as the American Ml 13, were intended as 'battle taxis', designed to carry troops to where they were needed rather than engage in the fighting themselves. Much effort was expended in producing automatic AA guns of larger calibre, to cope with aircraft of ever higher performance. Even during the war, there had been experiments in many countries with weapons in the 50-57mm class. The Germans developed the 5cm FlaK 41 which saw limited service, but was judged a technical failure. 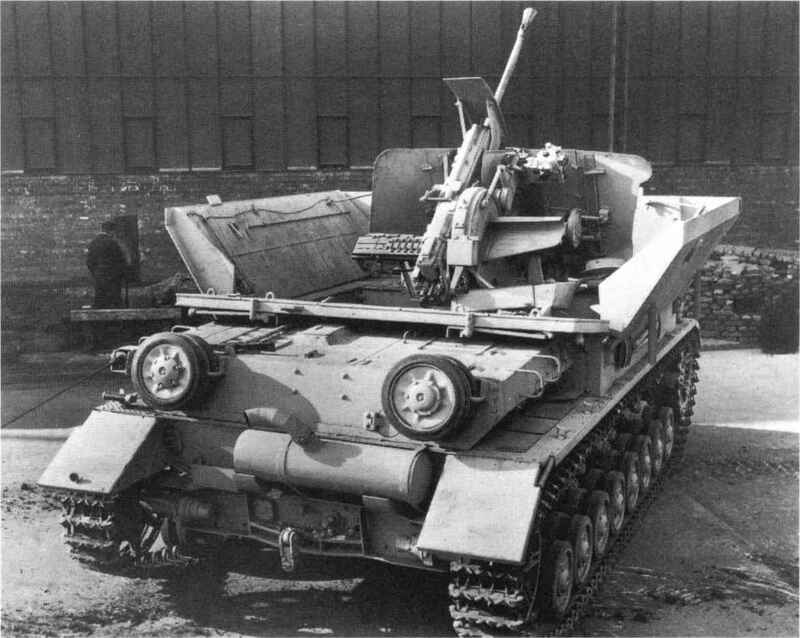 The more promising 5.5cm FlaK Gerdt 58 was still under development at the wars end, but it appears that the Soviets studied it before producing their own S-60 gun. The British experimented with the six-pounder 6 cwt AA gun of 57mm calibre in both single- and twin-barrel versions without producing a viable weapon. 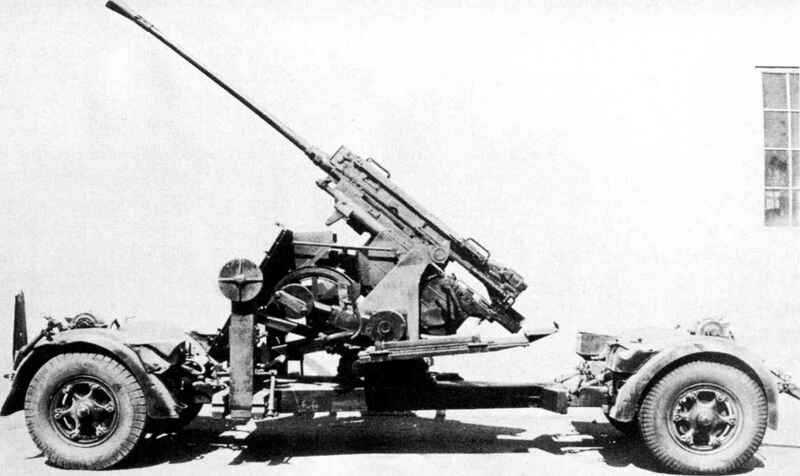 Bofors completed the development of their 57mm, started before the war. Better known as a naval gun, this was also adopted by the Swedish and Belgian armies as the in/54. the new proximity fuzes. Starting in 1944, the Americans concentrated on 75mm weapons, culminating in the Gun M51 'Skysweeper", which entered service in the early 1950s and remained alongside the 40mm Bofors until both were replaced by the HAWK missile in the early 1960s. The British commenced kProject Ratefixer" in 1946, aimed at automating the successful 3.7" (94mm) Mk 6 AA gun, which was eventually pushed to a cyclic rate of 75 rpm. Much experimentation, including a dalliance with 4.26-3.2" taper-bore design, ultimately resulted in 'Longhand1, a version of the 3.7" Mk 6 fitted with a twelve-round rapid-loading conveyor, which was approved for service introduction in 1957. However, development had taken too long and the weapon never saw service, being superseded by guided missiles. 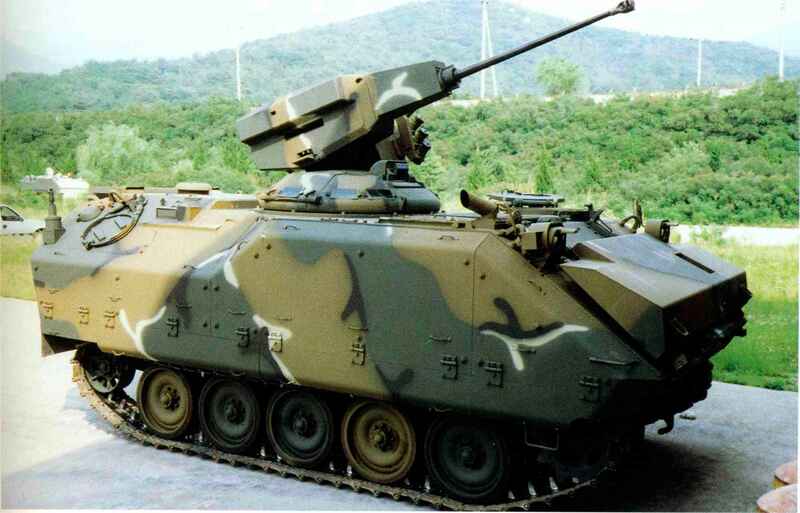 Which gun is better milleniul 35mm or bofors mk 4 40mm?